June Quiz answers: Quiz champion and eBook giveaway winner! Congratulations to Jessie who has won an eBook copy of People of the Old Testament: Judah and Tamar, Rahab and is our June 2012 Bible Quiz Champion! Jessie is now listed in our Bible Quiz Honour Roll. Jessie, please contact us at info [at] 30minutebiblestudies [dot] com to claim your prize. 1. Who were Tamar’s first two husbands? 2. Which city did Rahab live in before it was destroyed by the Israelites? 3. What was Joshua’s original name before Moses changed it? 4. Name Judah’s sister who was mentioned in Genesis. 5. Name two sets of twin boys and their parents who were mentioned in Genesis. Answer: Esau and Jacob (sons of Isaac and Rebekah), Perez and Zerah (sons of Judah and Tamar). 6. List all the tribes of Israel, including the priestly tribe and the tribes who received allotments of land in Canaan. Answer: Reuben, Simeon, Levi, Judah, Issachar, Zebulun, Dan, Napthali, Gad, Asher, Benjamin, Manasseh, Ephraim. Our featured eBook Bible Study of the month in June will be People of the Old Testament: Deborah, Ruth. June Bible Quiz and eBook giveaway! Narelle here. Today we’re holding our second Bible Quiz. The first person to correctly answer all six questions in a comment on this post before the deadline of midnight on Monday, June 25 (Australian Eastern Standard time) will win a copy of our June eBook Bible Study of the month People of the Old Testament: Judah and Tamar, Rahab from Smashwords and they will be named our June 2012 Bible Quiz Champion. The winner will be announced in our post on Wednesday, June 27 and they will be listed in our Honour Roll on the blog. We are also giving away a second copy of our June eBook Bible Study of the month People of the Old Testament: Judah and Tamar, Rahab from Smashwords to a reader who comments on this blog post and attempts to answer at least one question in our quiz before the deadline of midnight on Monday, June 25 (Australian Eastern Standard time). You don’t even have to provide a correct answer to enter the drawing! And you can comment more than once to answer the quiz, although you must be the first person to include all six correct answers in the one comment to become our June 2012 Bible Quiz Champion. Only one entry per person will be included in the eBook drawing. May Quiz answers: Quiz champions and eBook giveaway winners! Congratulations to Mariah and Jayden who are our May 2012 Bible Quiz Champions! 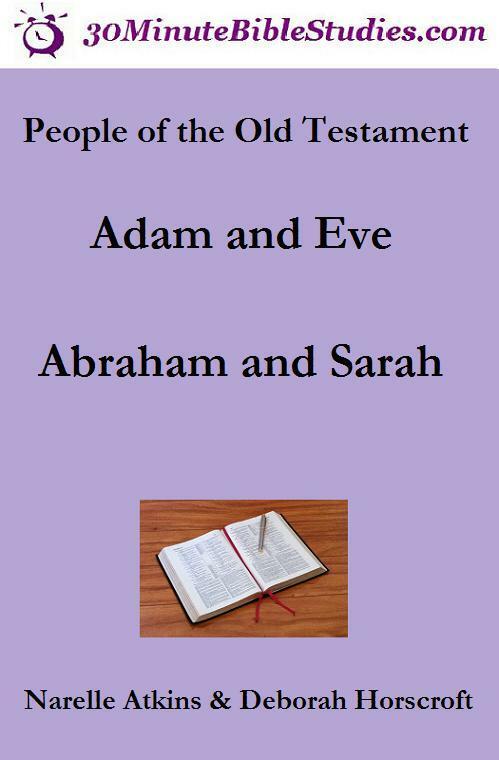 Mariah and Jayden have won an eBook copy of People of the Old Testament: Adam and Eve, Abraham and Sarah and they are the first winners to be included in our Bible Quiz Honour Roll. Answer: Ur (We will also accept Haran as a correct answer). Answer: Her body turned into a pillar of salt. Answer: Methuselah, 969 years old. Our next Bible Quiz will be held on Wednesday, June 20 (Aussie time) and each month we will vary the time the quiz post goes live on the blog. You can follow the blog via email, Twitter or ‘Like’ our Facebook Page to receive notifications when the quiz is posted. Narelle here. At the end of each month we will post a short quiz on our featured studies of the month. Yes, we will discover who has been paying attention to our posts! The first person to provide the correct answers in a comment on the monthly quiz post will win a copy of the featured study of the month eBook and they will be added to our honour roll. Since you all live in different time zones, it will be hard to try and make it fair for everyone. We will vary the time that the quiz is posted, so those of you who receive our blog posts via email or follow us on Facebook or Twitter will be the first to know when the quiz is posted. The good news is that everyone who comments on the quiz post before the deadline and attempts to answer at least one question will also be entered in the drawing to win a copy of the featured study of the month eBook. Yes, this means you can have incorrect answers and still be in the running to win an eBook. We figured this was the fairest way to handle the giveaway and we like to reward people who try and have a go! More information on the May quiz will be posted over the next few weeks.